Unless you've been living under a rock then you'll know a couple of weeks ago was Black Friday and like most of us Brits I took full advantage of the deals for both Christmas shopping and to also treat myself to a few bits that i've been wanting for a while. I thought in the spirit of bloggers, I thought i'd do a haul to justify getting a bit spendy and share some first impressions! 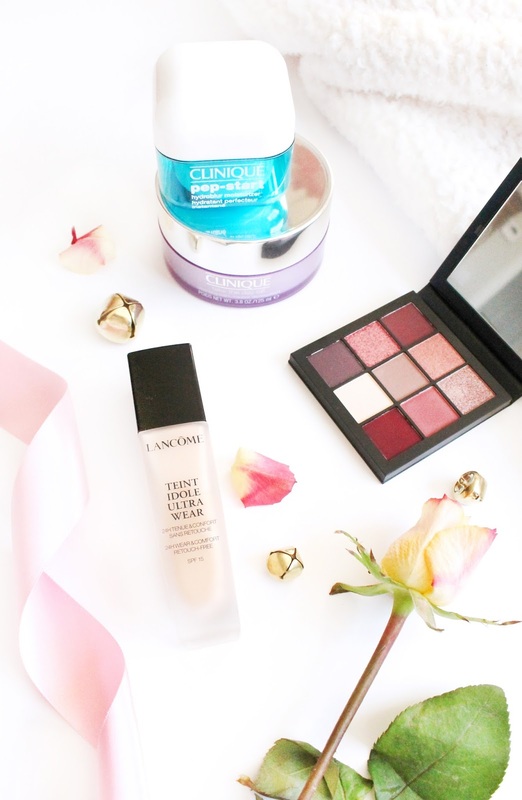 For a while now i've wanted to repurchase the Lancome Tient Idole Ultra Wear Foundation (£31.50) as I absolutely love this foundation and ever since I practically scraped the very last remains of my previous bottle out i've had a bit of a foundation hole in my makeup routine, and I just knew I needed it back in my life. To my surprise quite a few places that stock Lancome had some really good offers on, but Lancome themselves came out the best as they offered free delivery (of which was tracked, may I add) and the foundation came packed in a beautiful branded box that I will keeping. It's definitely the little things! Whilst I was ordering a couple of bits from Cult Beauty for one of my best friends birthdays, I accidentally slipped and added the Huda Beauty Mauve Obsessions Palette (£25) to make it up to free delivery, and it was reduced so win win. I've seen so many bloggers and beauty lovers raving about these palettes and I opted for the mauve shades because I've been really enjoying more red toned eyeshadows, and i'm absolutely smitten with this palette so far! Finally whilst browsing my local Boots I was looking at the Clinique gift sets as I needed a new Clinique Pep Start Moisturiser (£24.50) and the lovely sales rep let me in on a deal they had on where if you purchased any two high end products you got 10% off, which was enough to reel me in apparently. As well as the moisturiser I also picked up the Clinique Take The Day Off Cleansing Balm (£23) after hearing amazing things about it! It's been a while since I used a cleansing balm and i've been loving this one for the last week or so, and i've noticed how much my breakouts having reduced. Did you get any good deals on Black Friday?